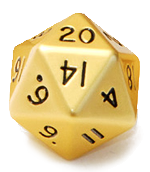 Your source of gaming dice! We have been selling gaming products since 2002, and we are very experienced in shipping around the world. Please feel free to Contact Us with your order, and we'll respond promptly!